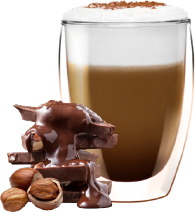 Enjoy a luxurious espresso drink with our Espresso Bar Collection. 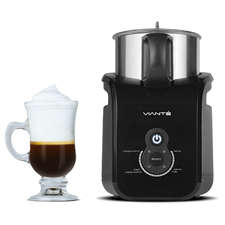 A very convenient way to prepare milk-based espresso beverages at home. 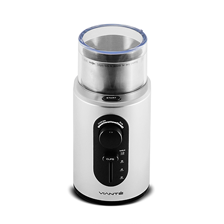 Without the need of additional tools like a milk frother or a milk steamer. 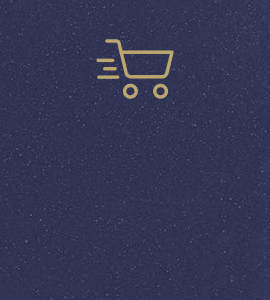 Fast and convenient. No need to clean additional tools after brewing. 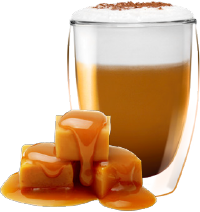 Perfect when you are looking to make an espresso drink with milk on the go, at the office or at home. 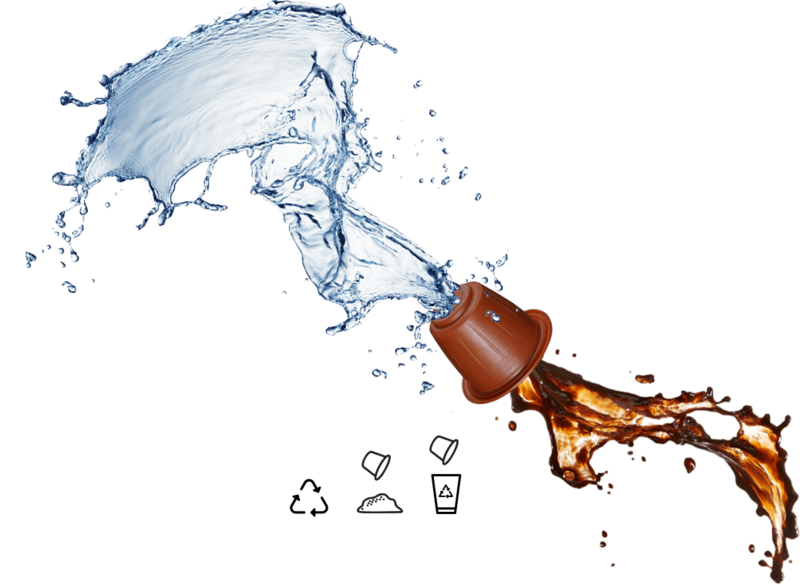 Simple brew a coffee capsule and then add milk by brewing a milk capsule into your beverage. 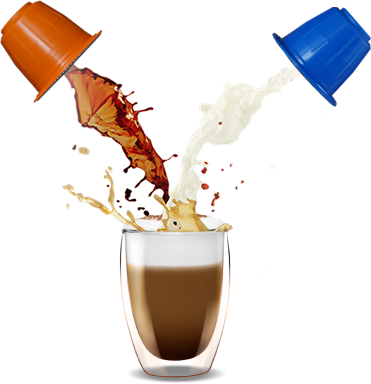 A crafted espresso drink in 2 easy steps! 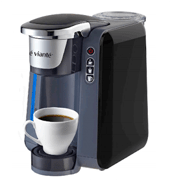 Brew the coffee capsule into your cup. 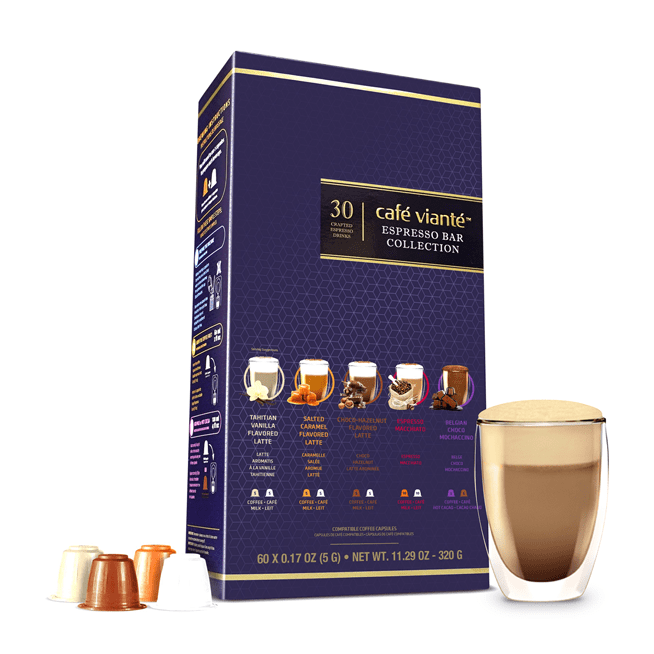 Each box contains 20 Capsules for 10 Servings. 10 Coffee Capsules + 10 Milk or Hot Chocolate Capsules. 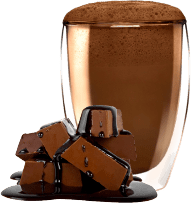 The richness and sweetness of chocolate and a hint of hazelnut combine with our Brazilian Arabica beans to create the coffee structure of this espresso beverage. 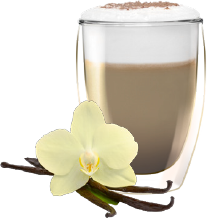 Adding the silky smooth texture of the purest milk results in a well-rounded and perfectly balanced latte. Rich with prominent but non-intrusive nutty and cocoa flavors that blend seamlessly into a talently crafted espresso beverage. The intense flavor of our Brazilian Ristretto Coffee meets the smooth texture of milk to create this silky espresso drink. Each sip of this premium crafted beverage will deliver a rich and satisfying experience to your senses. The boldness and intensity of darkly-roasted Arabica coffee gently cuts through the flavorful and aromatic silkyness of the purest milk. Combining together in a marvellous-to-watch swirl. Carefully Selected Vanilla Extracts are combined with our signature Arabica Beans from Brazil to lay down the espresso structure of this masterfully crafted latte. 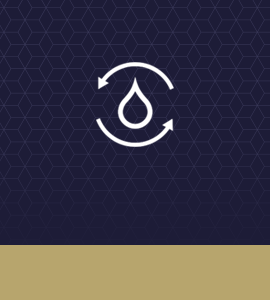 The aromatic sweetness of vanilla and the powerful notes of our specialty Arabica coffee combine seamlessly with the silky texture and delicate flavor of the purest milk. They bring to life one of the most popular espresso beverages. One that never disappoints and always surprises with its aromatic notes and balanced flavors. Coffee and Milk are probably the best pairing in the world of flavors. Only comparable to Coffee and Chocolate. Together, they craft the magic in most coffee experiences. 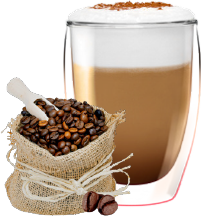 From lattes to cappuccinos, milk and hot chocolate add creaminess and body while enhancing the natural flavors of the coffee bean. 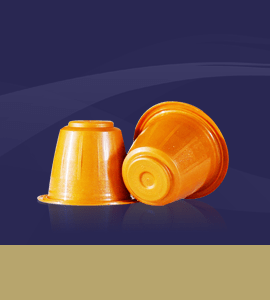 The complementary nature of this iconic duos is maximized by our Milk and hot Chocolate capsules.